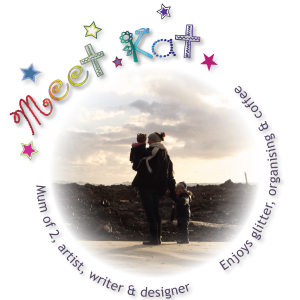 Im thrilled to welcome Rachael from Nothing If Not Intentional, a beautiful blog on family activities to post about Edible Sensory Play for our Brilliant Baby Play Series. 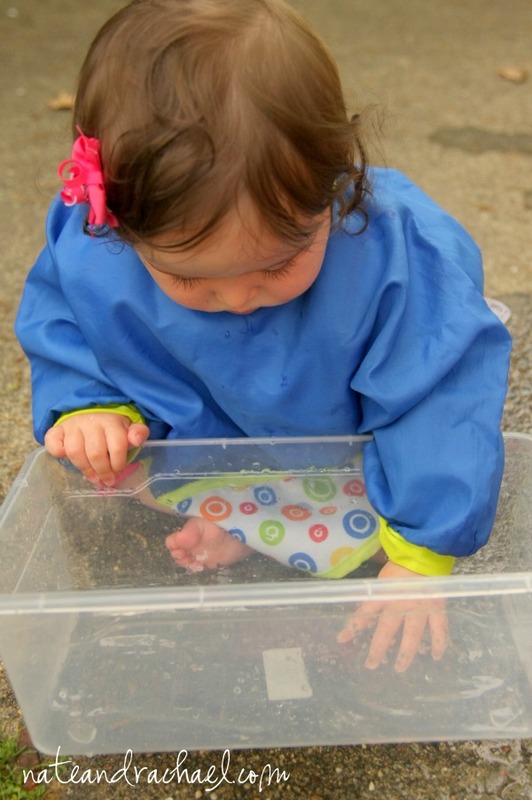 Don't you love watching babies interact with and discover new things? It's one of my favorite parts of being a parent! But sometimes it's hard to find age-appropriate play materials for my baby (9 months). Whether it is lead paint, BPA, or choking hazards, it seems like there's always reason to worry. This is one of the many reasons we love playing with things that are 100% edible. I don't have to frustrate my baby by constantly taking things out of her mouth, and she needs NO encouragement to play--she loves to eat! The focus is on her discovery and fun. 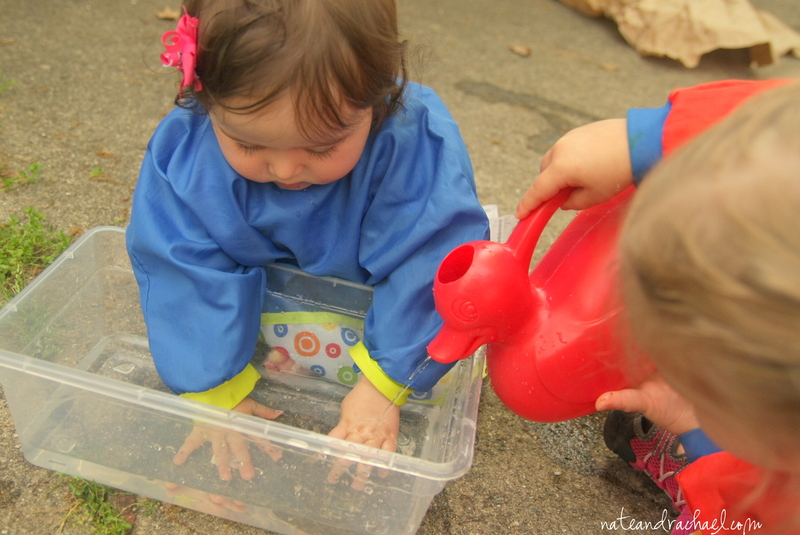 And try to pick up the water with her little fingers and hands. When it's really hot this summer, we'll vary the activity by adding colored ice cubes into the mix! To contain the mess, I simply placed my baby in the box with the cereal. 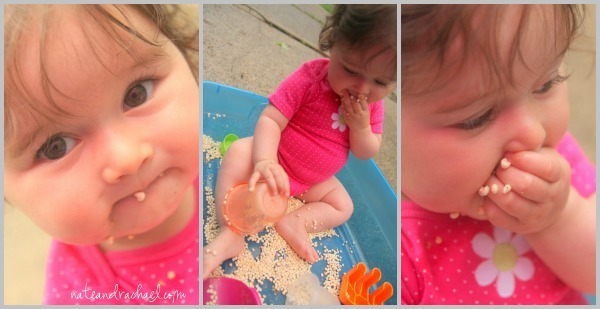 As I expected, my baby spent the first ten minutes of this activity shoveling big handfuls of cereal into her mouth. An all-you-can-eat cereal buffet? It was a dream come true for my little foodie! 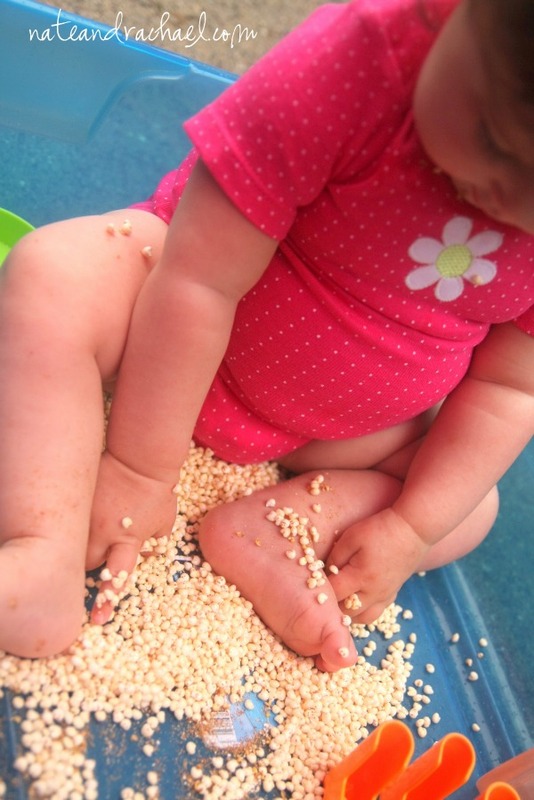 Once she took a break from eating, she squished the cereal in her fingers and wiggled her toes. She dumped it from a cup, banged the cups together, and even picked up the shovel. We used puffed millet, but the pieces are quite small and could end up in a baby's nose. Wheat puffs ($1 per bag at my local grocery store and Walmart!) are my preferred cereal of choice. Of course, cheerios and baby puffs would also work. Once you've tried water and cereal--combine the two! 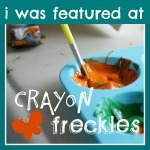 Check out this post for a fun example of how to exercise those little fine motor skills. 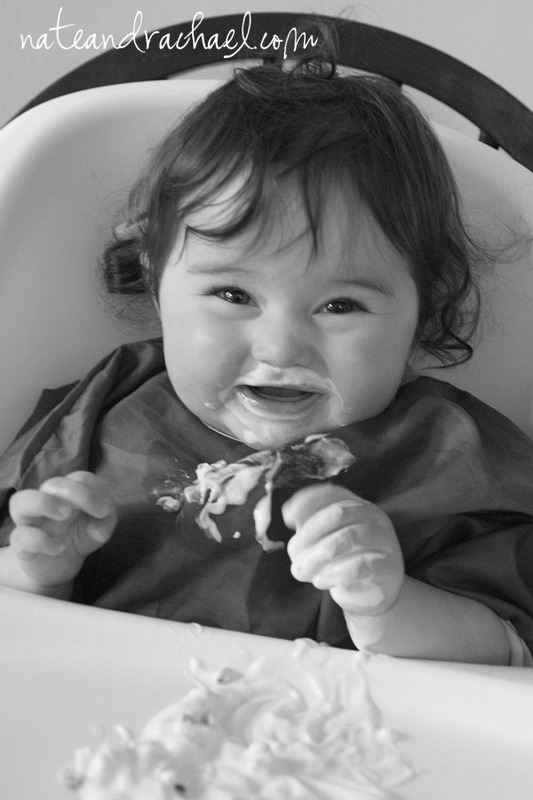 Last but not least, yogurt is a classic sensory experience that your baby can enjoy as soon as you introduce dairy. 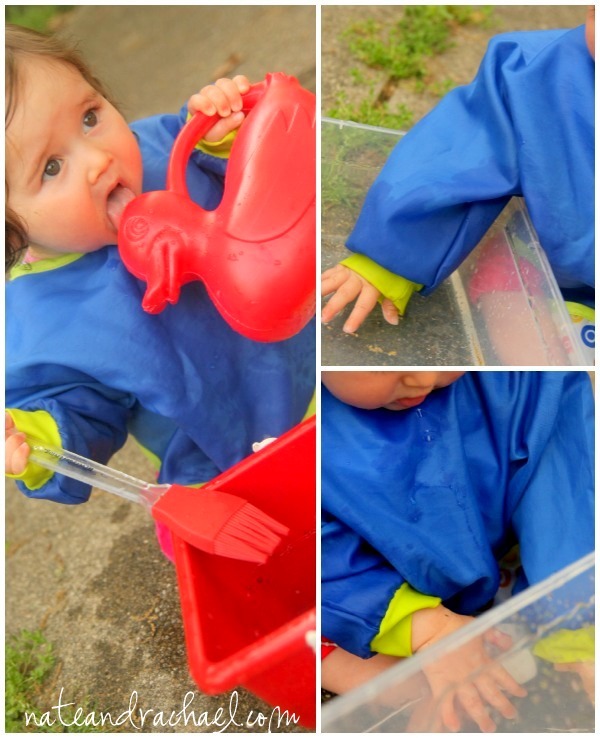 Squishy, messy, yummy, nutritious play! It's a great first introduction to texture and temperature While eating, I talk with my girls about how it is cold, slimy, and wet. Bonus: for big sister, we used food coloring to turn yogurt into a color mixing illustration! Want more baby play ideas? You'll find plenty in the "baby" section on our blog. We'd love to have you visit! Nothing if Not Intentional started as a way for Rachael and Nate to share stories from their ten trips to Guatemala. 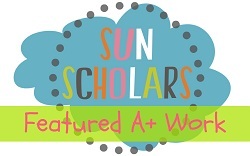 It is now an outlet for Rachael's writing (she's a former English major), a place to share tips from their travels (Nate's a pilot), and a way to hold them accountable as they seek to intentionally raise their two young girls (2 1/2 years and 9 months). You can connect with Nothing if Not Intentional on Facebook, Pinterest, and Google+. These are great! How old is she? I want to try them with my 7 month old, especially the cereal she wont eat cereal or puffs but I bet she would love to play in them! Hi, Kayla! Thanks for the sweet note! Our baby is 9 months and has no teeth. :) As always, supervision is key. But we started these type of activities as soon as she could sit up, reach, and safely eat the things we were playing with (e.g. we made sure she had no reaction to yogurt before we let her play with it). Of course, your baby is probably already exploring/playing with water during bath time! :) Thanks for writing! Great photos! 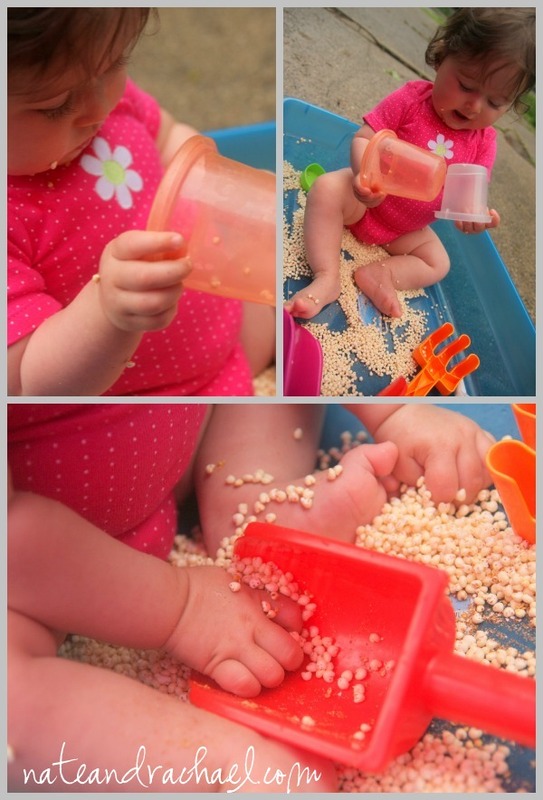 I never did a ton of sensory play with my kids when they were babies because I was just gone all the time! Once I became a SAHM and they were a little older, we really embraced it- I love seeing photos like this- I'm hoping we made up for lost time. haha! Such simple ideas, but a great introduction to baby play. My youngest is now 19mths, but I'm sure he'd enjoy all of these. SO simple. :) But part of the beauty of baby play is that even simple is new and exciting, right?! (My 2 1/2 year-old definitely jumped in on all of these. She liked adding food coloring and mixing the colors in the yogurt!) Thanks so much for reading and taking the time to comment, Hannah! Oh I love this! I have a 9 month old that would love all of these! iIve done the water sensory play with my girls (3 and 4) but not the baby yet. Definitely on the to do list! That yogurt picture is too cute! 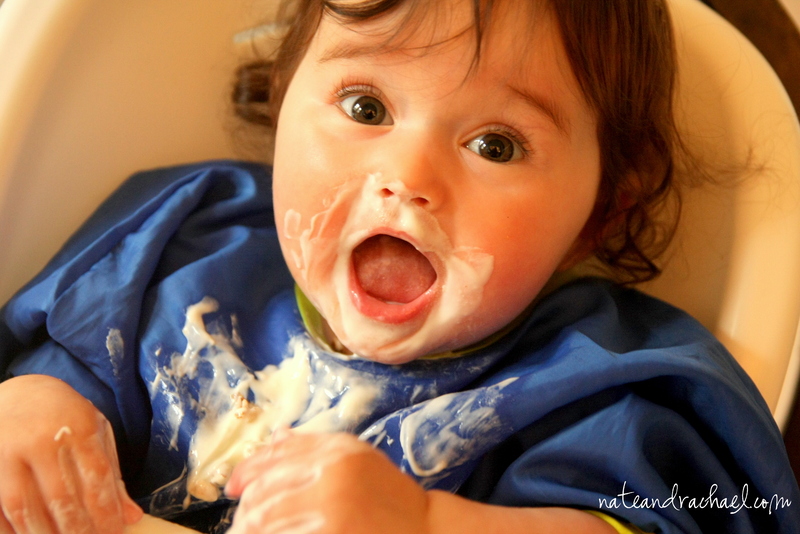 We just did pudding sensory play with the kids and it reminds me of the picture with my 9 month old and pudding all over his face. :) Thanks for sharing!